Lion is a corporate typeface designed in 1999 by Jean François Porchez for Automobiles Peugeot. 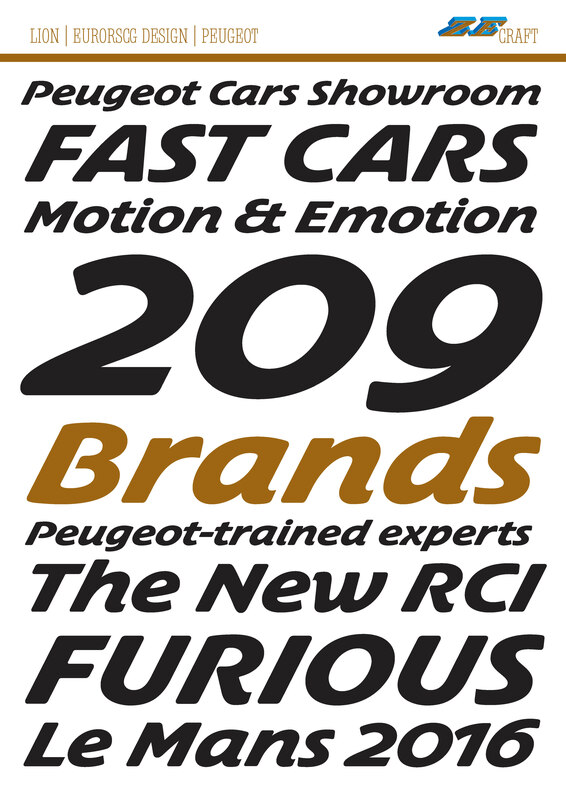 The bespoke typeface, developed in conjunction with EuroRSCG Design, Paris, is used by Peugeot for all the brand names used on their cars: from their classic brand numbers 206, 806 to their special range Partner, Boxer, etc. The typeface is in a bold script style with an strong slope & generous width. The use is restricted to Renault brands in various countries. Its an exclusive typeface.